Affordable Housing... only 30 Minutes North of San Diego County! Only 30 minutes North of San Diego County... in "Exploding" Perris California is the answer to Affordable Housing in Southern California! SOLD By Terri and Paul Guess... bringing together and representing both the buyer and seller. Affordable Housing does exist! 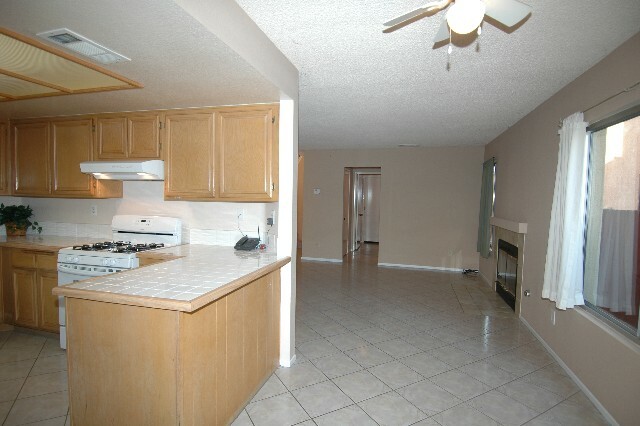 Only 30 minutes North of San Diego County is Booming Perris California… where you will find this Large Spacious four bedroom Lovely Home… Waiting! Bright, Cheerful, Spacious and loaded with amenities… No wonder so Many People Drive I-15 daily! 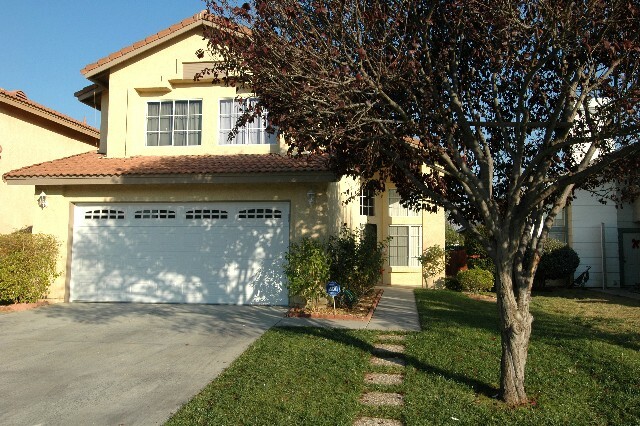 New Carpet… New Paint… New Designer Ceramic Tile Flooring… New Garage Door and Opener… New Hot Water Heater.. Truly Move in Condition! Class-A Fire Rated Mission Tile Roof, Inside Laundry Room and the Washer/Dryer stay. Storage Room… the perfect Wine Cellar… romantic Fireplace with gas line and Large Breakfast Nook with Decorator Ceiling fan. Quiet Neighborhood and only two blocks from the Brand New “Skyview Elementary” Perris Unified’s Pride and Joy! Covered patio, Fully Fenced and gated Yard with these fruit Trees: Black Mission Fig, Apple, Guava, Orange, Pomegranate, Red Guaje and Green Guaje… but still room for children and pets. Please follow this link to Virtual tour... and more photos of this Wonderful Home... and School Information as well! 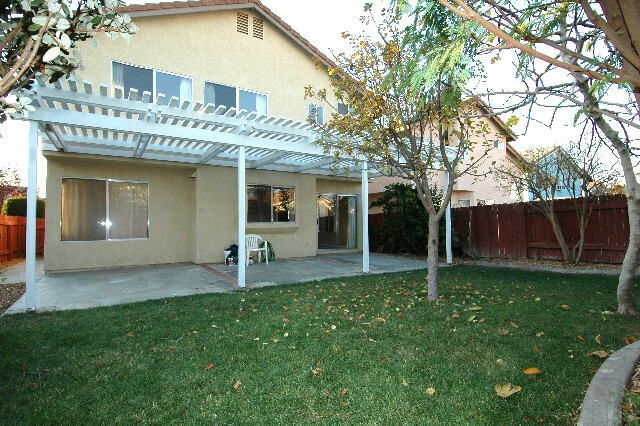 Look at this Spectacular "Fenced and Private" yard of dreams. 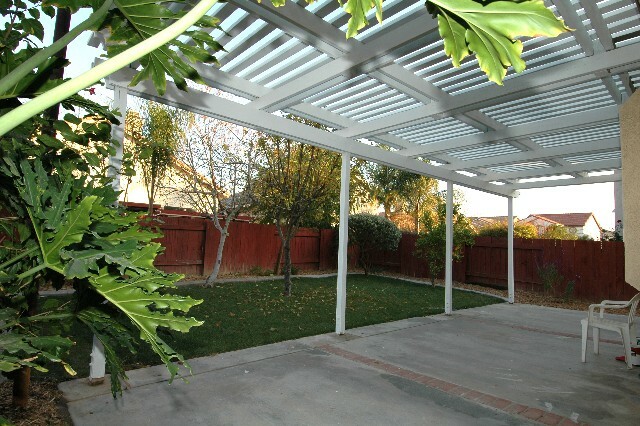 Secure and safe... a shaded covered Patio on the Cool East side of the home... beautifully planted... and while low maintenance... room for a family to play and grow! 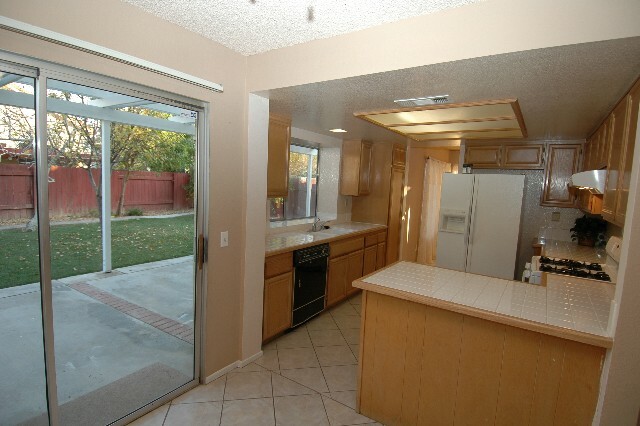 One of the most desirable features... the entire yard is visible from the Kitchen Sink "Garden Window". The trees listed above are all found in this lovely back yard... and if you have never heard of Red or Green Guaje... because we had not... check out this recipe for "Grilled Chicken Breasts in Tomato-Guaje Sauce (Pollo Asado)" If this home doesn't work for you... maybe the first thing you should buy for your next home is a "Guaje Tree". Beautiful Designer Ceramic Tile Flooring... miles of counter space... and floor plan that just flows around the "Party Central Kitchen"! The elegant formal dining room has a private view into the park like yard and "Orchard". Decorator light fixtures... ceiling fan in the breakfast nook... Fresh new Paint... and just waiting for the lucky new owner. Being a four bedroom home... possibly schools are a concern. The home is just 2 blocks from the yet to be opened "Skyview Elementary"... the pride of Perris Elementary School District . Currently the homes in the neighborhood are served by Palms Elementary... but the new school will be ready for the next school year. Pincate Middle School is the next step in convenient public schooling... and proud Perris High School the home of the "Cougars"... never "Gives Up"! If this isn't the most popular floor plan we get requests for... I don't know what it would be! 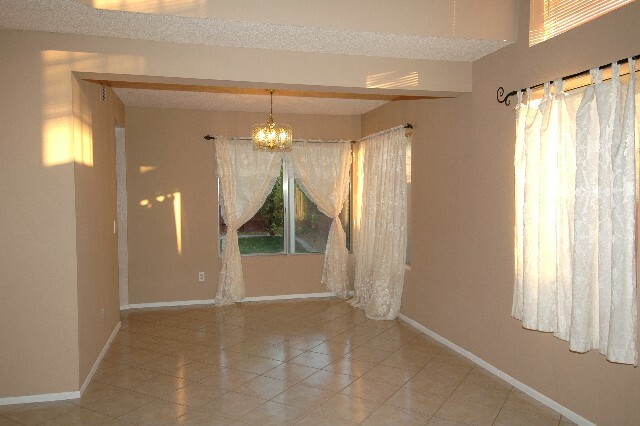 Large Casual Family room and Breakfast Nook that flows right into the Kitchen. Warm and Romantic Fireplace to cuddle by... and when friends come over... the "Cook on Duty"... will not miss a thing! 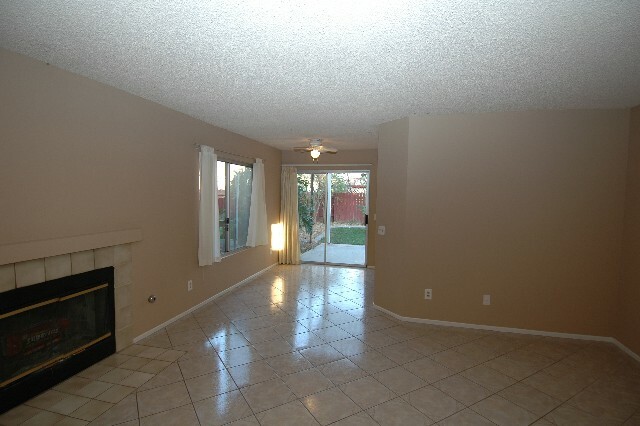 Wide wall spaces for the entertainment center... or maybe a "Liquid Plasma Flat Screen" over the fireplace. Lots of choices with this floorplan! Easy access to the rear yard and cool covered patio. BBQ... Smoking... "Dutch Oven Cooking"... with a patio like this... maybe the kitchen will hardly be used. And warm Summer nights could not be spent in a more inviting private yard. Everybody likes Master Suites... and this is a Suite. 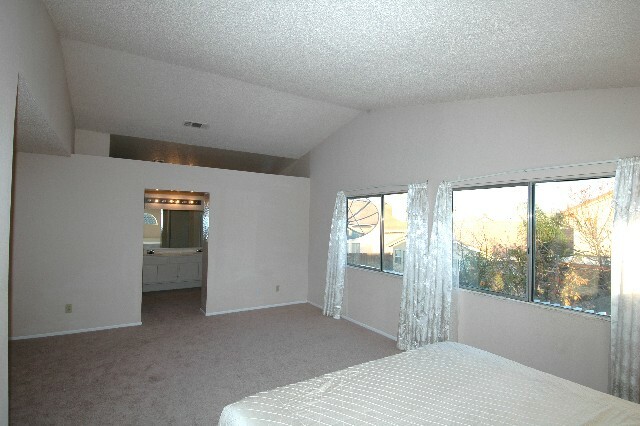 Vaulted ceilings... dramatic overlooks... wide bright widows... a designer window above the headboard space (visible in the mirror image) ... a potential "Master Retreat" off of the Suite... if bedroom #4 is not needed for sleeping space. And... if babies are on the way... this potential master "Retreat"... could be the ideal "Nursery" for the new master of the home. The virtual tour shows the door into this optional Retreat/Nursery area. 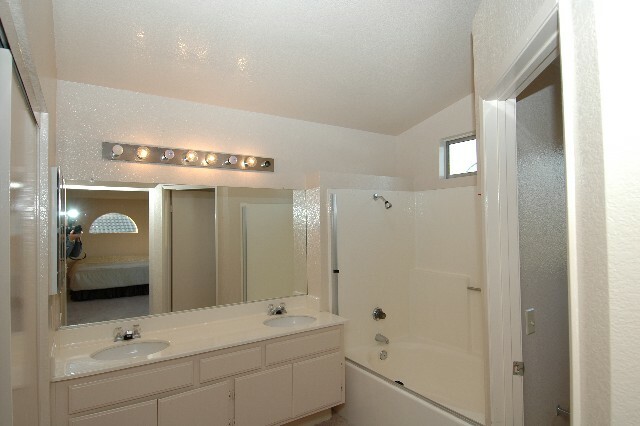 The Master Bath enjoys a huge walk in closet... Garden Tub/Shower... double vanity... and separate commode area. This is a great floor plan! Incredibly well Priced at $389,900.... what a buy!